Former Altech CEO Craig Venter, who quit the Altron group last year after 27 years working for the business started by his father Bill Venter, has lifted the lid on his new venture. The new company, ClickaBet, is a sports betting website that Venter — who has been working on launching the business for the past 15 months — believes will be a big money spinner. Forty percent of the equity is held by businesswomen Nomzama Xaba and Sonja Sebotsa, with Venter holding the remaining 60%. 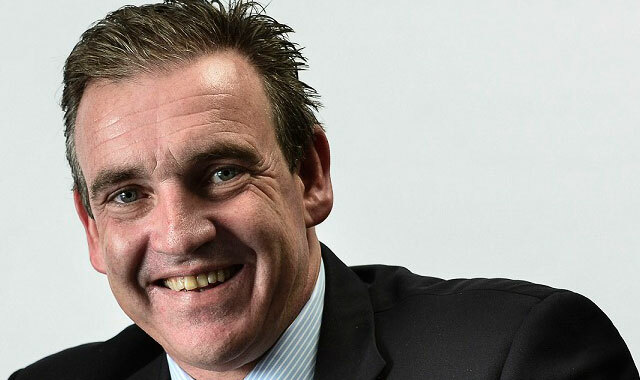 Venter, 53, who left Altron following the poor performance of some of the businesses that reported into him – including the spectacular failure of the Altech Node set-top box — believes he is onto a winning formula with ClickaBet. “I have the same feeling about his business as I did when I started [vehicle tracking company]Netstar,” Venter says. “I was in the ICT industry for 27 years. I’ve worked long and hard for many years. This is a breath of fresh air. It’s a new industry with new people, but I can apply my years of ICT experience to create the most innovative sports betting website in the country,” he says. Venter says the key to ClickaBet’s success will be in having the right technology and software platform, getting digital marketing right (he has contracted Matthew Buckland’s Creative Spark to manage this for him) and having the right management team in place. He has hired Neil Walters from Sun International’s sports betting website Sunbet as his GM. The biggest challenge to getting ClickaBet off the ground, Venter says, was securing the necessary licence from the Western Cape Gambling and Racing Board. “These licences are as scarce as hen’s teeth,” he says. But the board has now granted ClickaBet a licence that allows it to operate nationally. Venter says the online sports betting market in South Africa is growing at about 20%/year. Although the business doesn’t have a for-sale sign on its door, he says he has considered an exit strategy and believes that ClickaBet could become an acquisition target by a local casino group or an international sports betting company in time. He says gambling and sports betting is moving rapidly online and away from physical premises, and this could prompt existing players to look for acquisition targets in the online space. Meanwhile, Venter says he remains actively engaged at Altron, albeit as a significant shareholder rather than at an operational level. He says he speaks to his brother, Altron CEO Robbie Venter, at least once a week and shares his views with him on the group’s performance and strategy. The Venter family holds a controlling 64% stake in Altron, although the value of that stake has fallen dramatically in the past three years due to the difficulties at many of its operating subsidiaries, including Powertech, Altech Multimedia (principally the UEC set-top box manufacturing business) and Altech Autopage. In the past three years, the Altron share price has tumbled by more than 70%, wiping billions of rand off the group’s market capitalisation and off the Venters’ wealth. “I am concerned about the share price,” Venter says. He says he and Robbie have “an obligation” to their father, who founded Altron 50 years ago, to “give him the satisfaction that after a full life he can sit back and see a legacy to be proud of”. Nice try but no cigar Craig. Hlaudi is gonna change by diktat the gambling industry with another Transformation Mahala move such that any Local Content Member of the Community gambler always gets 90% of his or her bet back, win or lose. It’s like playing tennis without the net. But try the app industry for a quick buck, I hear this field is wide open for the first app to make clean drinking water from any smart phone. another example of failed states where the dumb ideas of rich children get all the funding, just like Knott Craig Junior it will fail spectacularly. Craig rather start an incubation capital program with all that money and watch real stars come to you with brilliant ideas. It’s just a white labeling of this service – http://www.bettech.com/ – no innovation here.